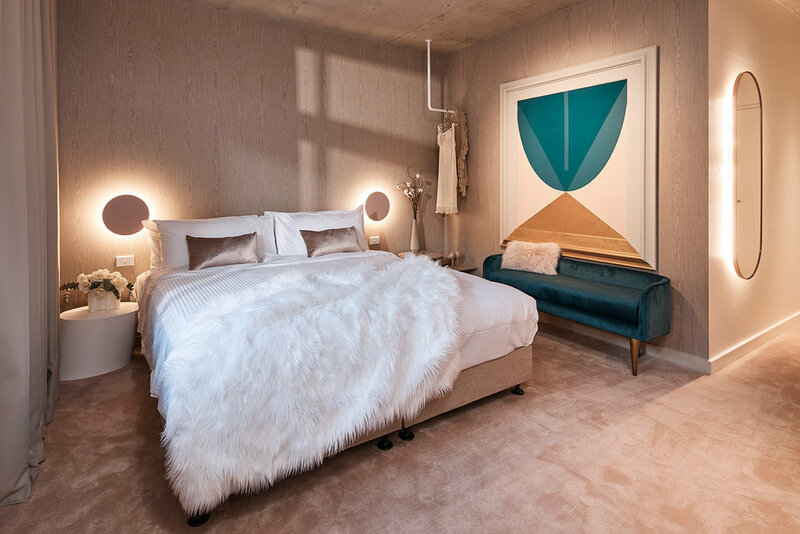 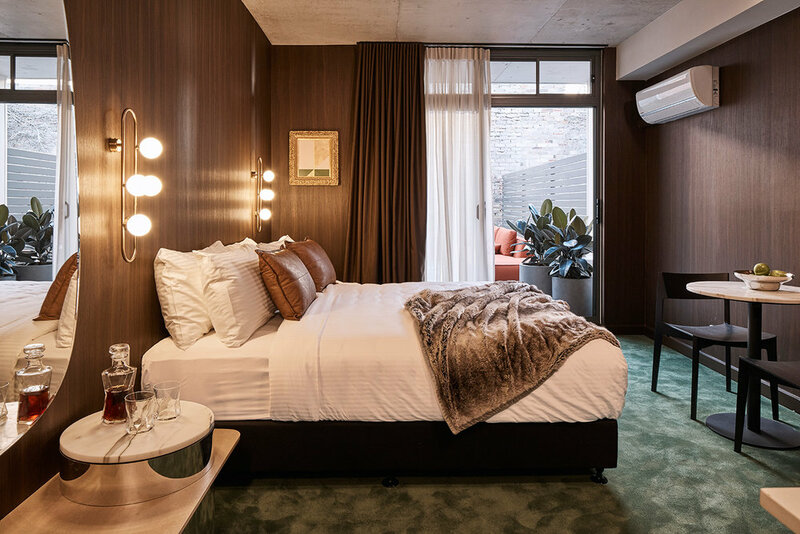 Opting away from standardised décor in rooms, The Collectionist Hotel commissioned the talents of seven designers from four leading design studios, and 13 artists, to create 39 individually designed rooms. 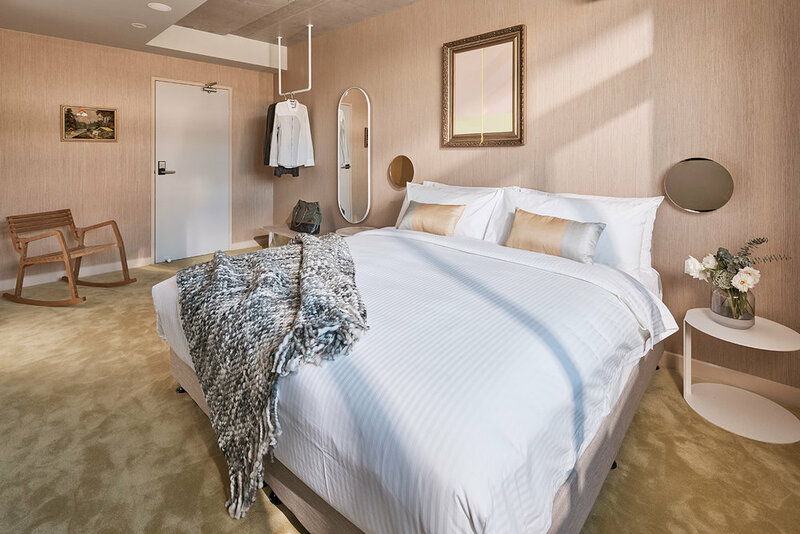 Instead of rooms being allocated, guests are invited to peruse available rooms on check-in and choose their room based on the style, colour, texture and design - just as they would a work of art. 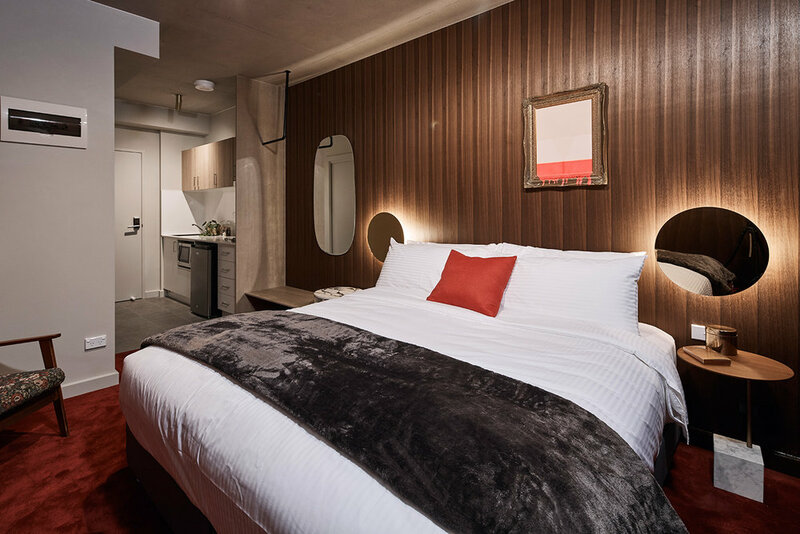 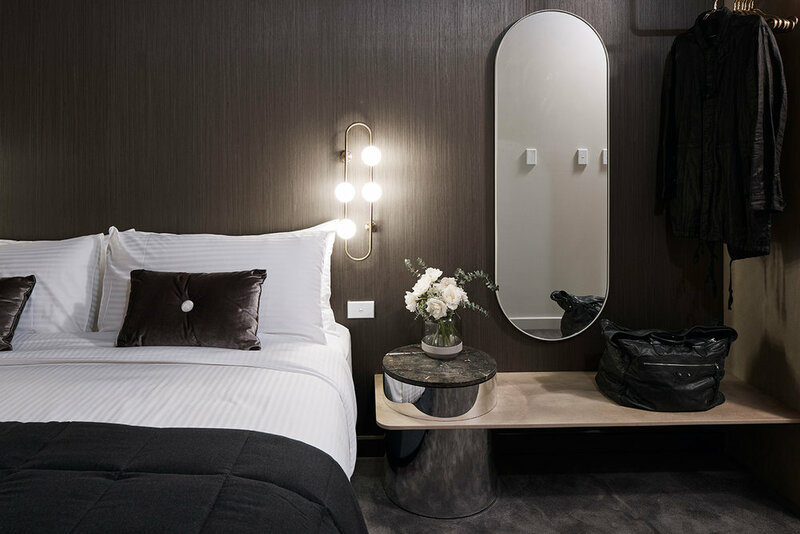 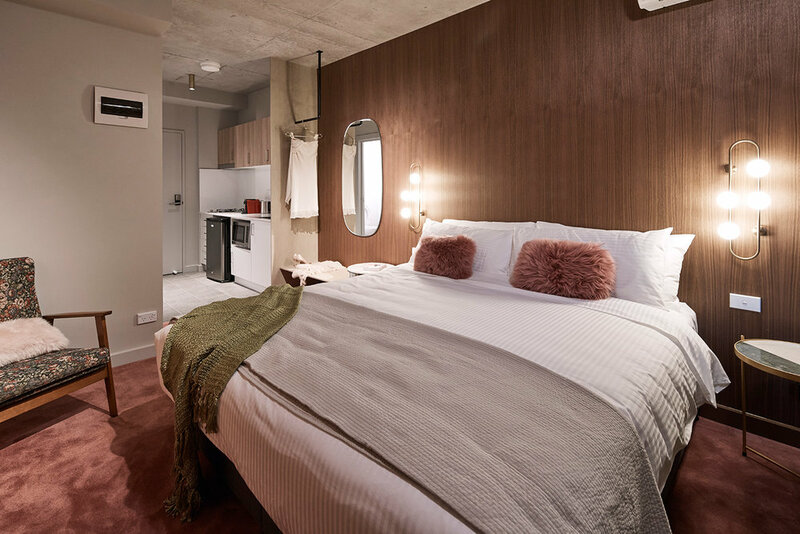 Willis Sheargold's inspiration for the Collectionist Hotel - "Excited by the potential to transform a utilitarian boarding house in urban Sydney, we were inspired to pursue a refined and sophisticated design aesthetic in contrast to the urban context. 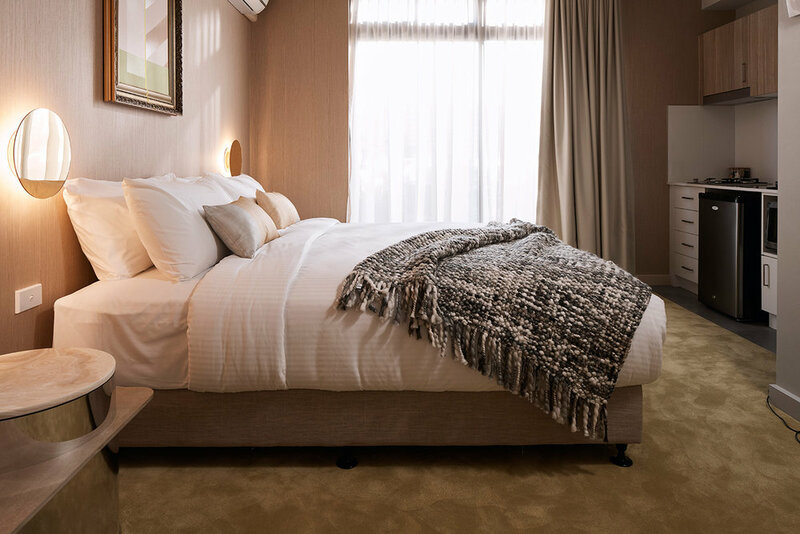 Our challenge was to create a greater sense of quality that would exceed the budget’s potential and client’s expectation. 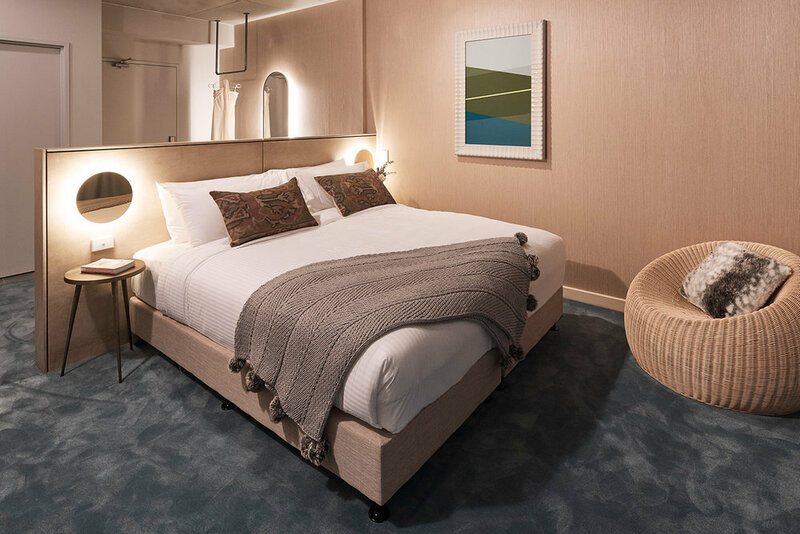 Bold coloured carpets alternate from room to room to ensure every room has a unique look and feel, reinforced by a diverse collection of individually sourced furniture and fittings. 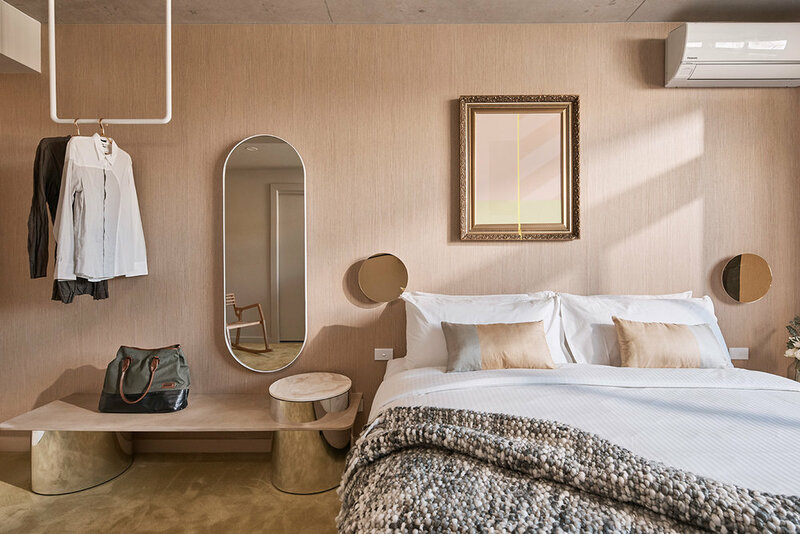 Custom artwork by designer and artist Matthew Sheargold injects a contemporary edge further differentiating each room and guest experience'.